Should I Install a Sprinkler Timer on My System? 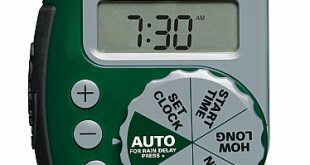 Home » Sprinklers » Should I Install a Sprinkler Timer on My System? A sprinkler timer is a miniature device, probably not bigger than your hand, that can be programmed to turn on your sprinkler system automatically. In addition some may have the capability to run more than one timer cycle for various types of plants within the same garden. 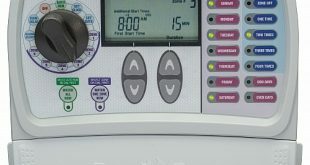 When trying to determine whether or not you should install a timer on your system there are several factors to take into consideration. These factors include how the timer will ultimately be used, and whether or not the garden or lawn has plants that require moisture delivered at certain times throughout the day. There are some pretty sophisticated smart systems out there but one would do well to assess their needs in order to avoid spending a lot of unnecessary money. 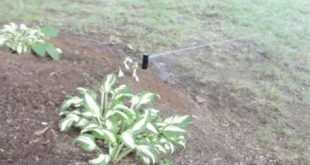 A simple sprinkler timer, which is ideal for most residential properties, will allow you to control the time of day that the sprinklers come on and the interval and which the sprinkler oscillates as well as the duration of the watering session. For many residential and small businesses this option works the best. However professional landscapers and large industrial sized lawn owners may want a timer that is a little more complex than the start and stop beginners model. These may wish to program several parameters like watering only on certain days or when there is no rain forecasted. The precision with which the timer has to operate requires sophisticated programming. These more sophisticated timers also may require a more powerful power source and professional installation to pull everything together. 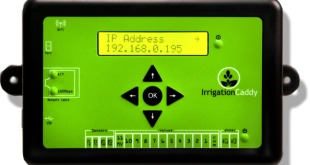 Smart technology sprinkler timers can even be made to sync with a computer increasing its capabilities and even allowing it to detect weather patterns through a computer uplink. 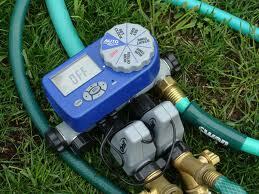 The sprinkler can be programmed to follow water conservation protocols improving the overall efficiency of the unit. With so many possibilities it is so easy to get caught up and carried away. It is therefore imperative that you conduct a full analysis of your individual needs so that you can purchase a timer that caters only to your needs. If you are a tech enthusiast the fascination will result in time and money wasted on services that you will probably never use. Logic must dominate so that you can stay on track when deciding whether or not to expand your sprinkler system by adding a sprinkler timer. 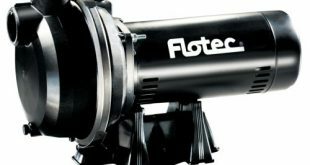 You can also consider to make your garden to become a water fountain by installing the solar water fountain. Since it is using solar to generate power, it will not going to increase your electricity bill while you still able to enjoy the harmony scene with the solar water fountain with the installation of sprinkler timer.